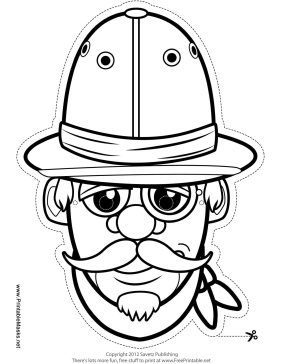 Color in this explorer's pith helmet, bandana and monocle for your very own adventure mask! This mask is perfect for student plays and playing make believe in the backyard. This mask is free to download and print.